How to get the card of Just Lviv It? 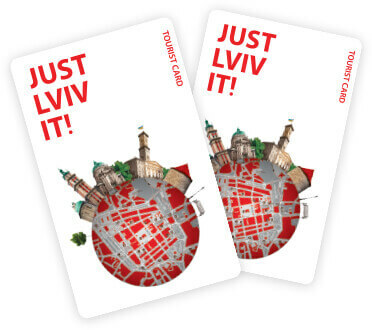 You can get the Just Lviv It card in Just Old Tram or any other emotional restaurants of the chain (except souvenir shops the "Lviv souvenirs" and "Kryjivka" ) absolutely free of charge and main very simply. For this purpose it is necessary to ask the manager of the restaurant, fill in a questionnaire and get the card of Just Lviv It together with exhaustive information and rules. Your card is activated at once and you can use it right from the start.